A screenshot of the first episode. Bird Island (白鸽岛) is a 52-episode sci-fi animated series based off of the light novel series of the same name. Initially released in China in 2003 and animated by Shanghai Art Film Studio, the story centered around Tin as he comes to terms with him not being human. The first volume was released on DVD in North America and contained the first four episodes. Released through Playhut Entertainment's "Chinamation" line in June 2004 in an attempt to cash in on the then-current anime craze. Though the series did not see success in the United States as many criticized the show for its poor animation and plot. While a few clips from the English dub of Bird Island have surfaced, to this day no episode of the English dub has surfaced. Bird Island centered around an anti-social teenager named Tin, who was recently told by his grandfather that he's not, in fact, human. Despite the fact that people made fun of him for not being human, he ends up protecting everyone when aliens invade his home. 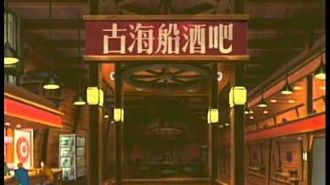 While at least four episodes were dubbed, the failure of the Chinamation line has led to the DVD going out of print and Bird Island itself falling into obscurity, and very little footage can be found online because of this, only about a minute and a half of footage currently available of the English dub. Fortunately, all 52 episodes of the series can be found online in its original Mandarin. It was uploaded by a channel also containing Way of the Warriors, another work that Playhut acquired for its Chinamation line. Compilation of several Chinamation clips, including Bird Island.